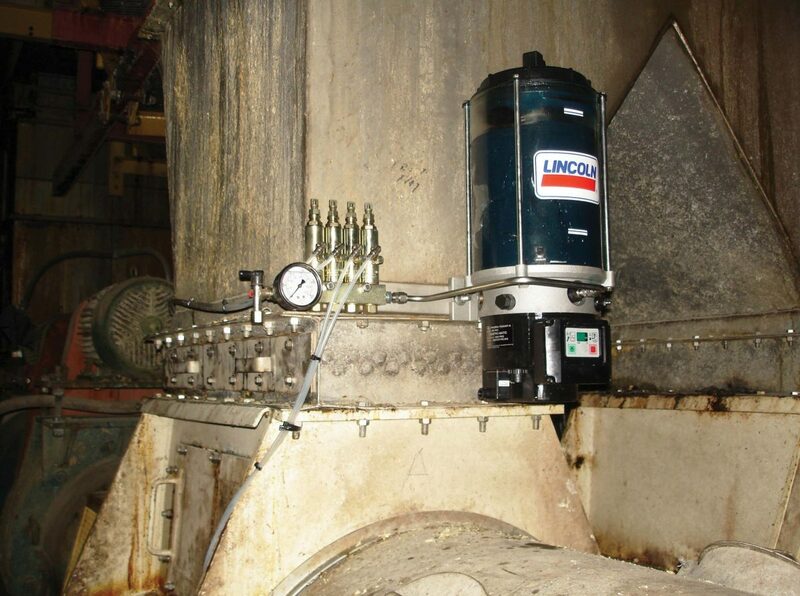 Automatic greasing systems apply specific amounts of lubrication to an active piece of machinery. The grease is carefully and frequently applied to specific points in the machine in order to maintain the right levels of grease in the lubrication points at all times. This is done dynamically while the machine is operating at a warm temperature. Automatic lubrication systems have some big benefits. For one, the grease is evenly distributed on the wear surfaces of each pin and bushing. This drastically extend the life of these components. And automatic greasing systems are highly precise. 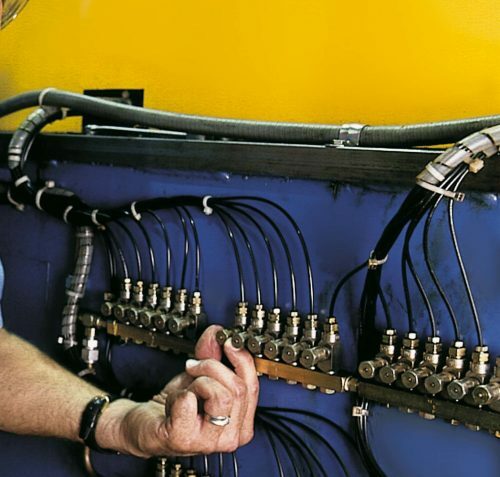 They apply just the right amount of lubrication to the machine, and won’t go overboard and apply too much grease. Automatic lubrication is also highly efficient. Not only do they not provide too much lubrication, but they also use less grease than if a machine was lubricated manually by hand with a grease gun. This also saves on downtime. It also improves the health of a machine by creating mini “grease donuts” around each pin. This keeps contamination out of the lubrication point. And each lubrication point gets just the right amount of grease, in line with how much it needs. An excavator’s bucket pins, for example, need up to 25 times the amount of grease than a boom cylinder pin needs on each system cycle. Sounds good, but how do automatic greasing systems work? 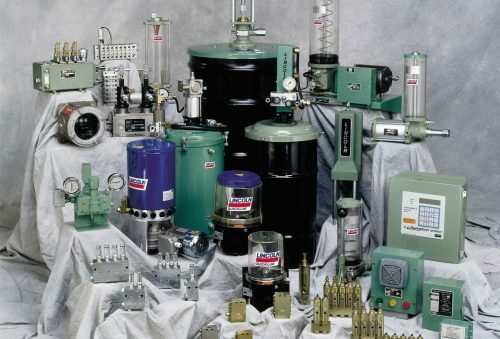 An automatic lubrication system uses a pump with an adjustable integrated controller, lubricant measuring valves, supply feed line hoses and connection fittings. The pump is triggered by a timer and begins sending lubricant from the reservoir along the feed line to the primary divider valve. The primary divider valve then distributes the lubricant to the secondary valves. These secondary valves in turn dispense the right amount of grease to each and every lubrication point. This pump can run once an hour for a pre-set time. The lubrication system can also switch itself off after getting a signal from a proximity switch positioned on one of the metering valves. This switch is designed to detect the absence of flowing lubricant. The end result guarantees that each valve is cycled. Underpinning the automatic greasing system is the divider block. 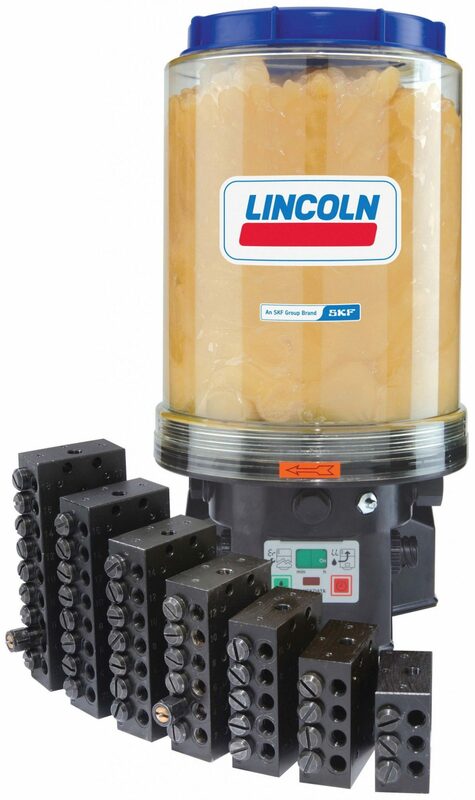 This valve uses a series of metering pistons to dispense specific and accurate amounts of lubricant from each outlet. An indicator pin on the divider block makes it easy to see whether a valve has finished a full cycle. And the lubricant is delivered to the places that need it most by combining outputs from adjacent outlets. This increases the output to the lubrication points that require lubricant the most, like bucket pins and H-links. 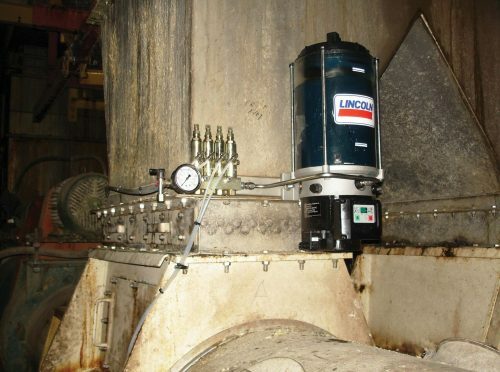 The automatic greasing system makes it easy to distribute measured amounts of lubricant to several points on an operating machine in a controlled, timed manner. For more information or to order your auto lube system, contact us today.